Welcome back for Day 16, if you are just arriving for the first time all the details and the linkup can found HERE. Today I have Newton's Nook as my guest along with some of their designers. Newton's Nook is both a guest and a sponsor offering to one lucky winner a $20 store credit to their online store! 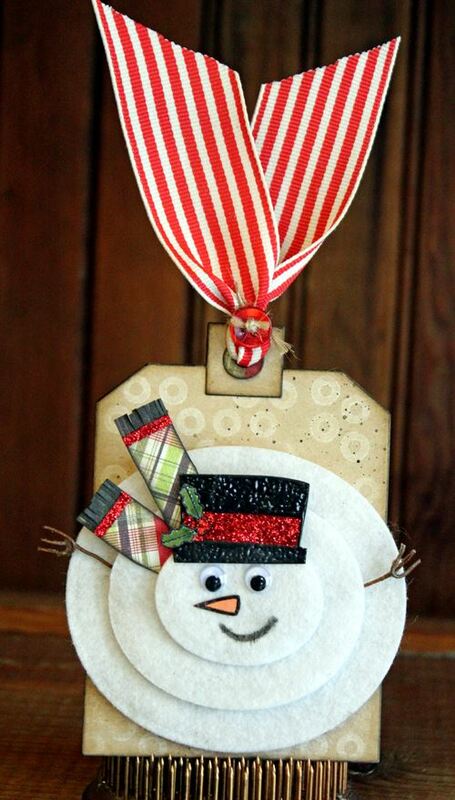 Do you make gifts as well as Christmas cards and tags for the holidays? Comment with your answer for your chance to win. Do I make gifts as well? No, I do not. Maybe one day!!! Normally, I only make cards for Christmas. 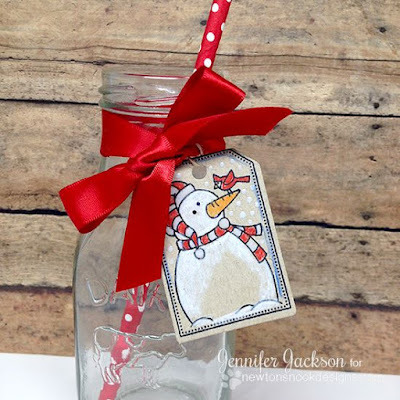 Beautiful and cute Christmas creations and your one id adorable too! I made cards and tags only! all of these are too fabulous and full of cuteness.. thanks for sharing. Love Newton watching Santa fly through the sky. All of the tags are so clever. I make gifts as well as all of my cards and tags. I just bought some canvas bags and I've been researching how best to paint them. I'll be giving these to a few special friends at Christmas (hopefully I get them done). Such adorable tags! Newton's Nooks stamps are so cute! 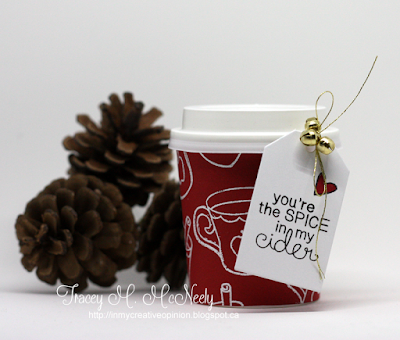 Love your little cup with the tag! 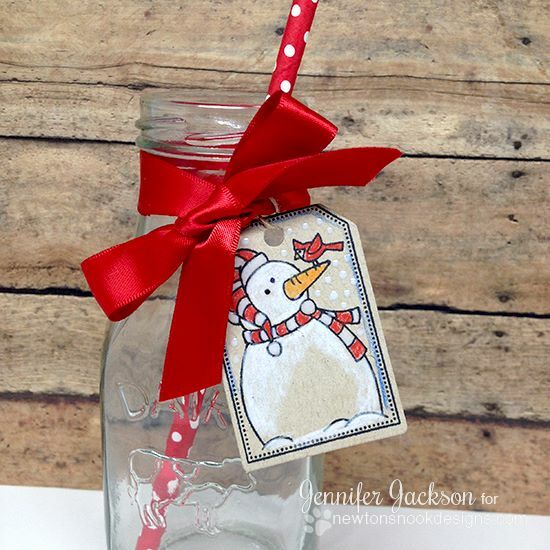 Yes, I love to make Christmas gifts as well as tags and cards. I try to make each of my family members an ornament each year. These tags are simply adorable. All of them. I had no idea Newton's Nook had such cute stamps. In answer to your question, sometimes I make gifts out of tags...like a tag set. Wrapped up with a tag on, of course. Awesome inspiration :) love the jingle bells on your tag ! Yes I do! Love how cute these are! I have made gifts to give, especially baked items. Used to do other projects as well, but I found my work schedule really put a crimp in that! Now I am retired (as of Oct 16th), so who knows? Love your sweet tag today! 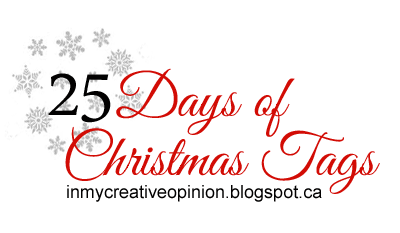 Lots of inspiration, and looking forward to visiting some of these blog links! I am really enjoying coming here every day for inspiration. This is such a fabulous event...thank you for hosting!! Yes, I make gifts in addition to cards and tags. I just upcycled two items: a frame and a wall hook with a framed tree scene. I have now started to upcycle a clear glass jar. Too fun! These are all so cute! I love your little tag and cup, it's adorable! I mainly make tags and cards, but I just made some money holders too, no gifts though, except packs of cards. Another set of beautiful tags by a peck of wonderful people! What cute images & tags! I make goodies for the vet & groomer, but that usually ends up being it. Oh they are super adorable tags!!! 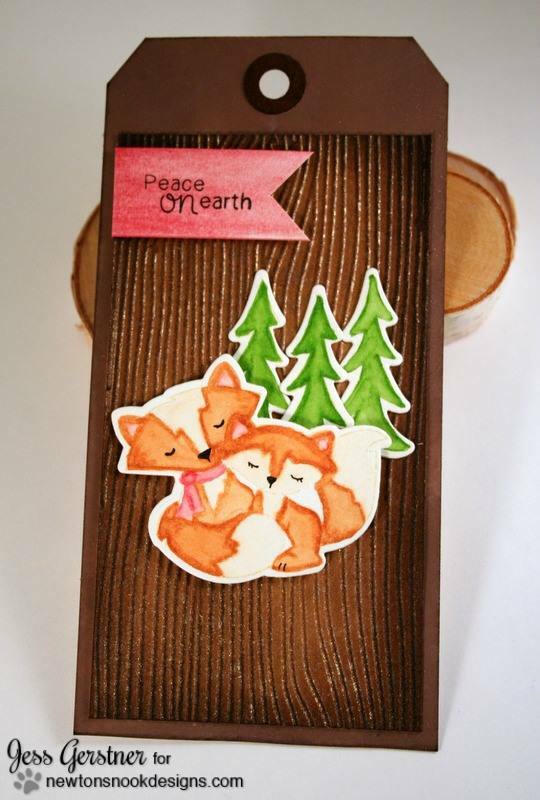 Love those foxes.. they look so cozy and the tag on the cup is cute, too! Oh my goodness , so much cuteness in one place! So many fun and adorable tags! I love that clear shaker tag! Super sweet tags!!!! I usually don't make my own gifts because I'm always running out of time. However, I do make a bunch of holiday cards and tags/packaging for the gifts I give to friends/family. 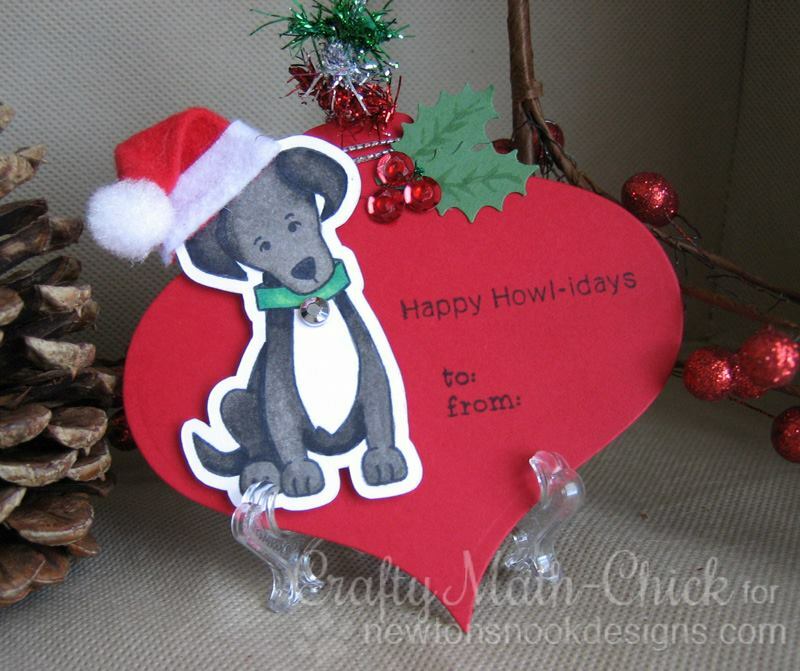 Making my Christmas cards and tags keeps me very busy so I do not make many gifts. However this year I AM giving a full scrapbook of layouts to my brother-in-law and sister-in-law of their 4 children. It has taken me nearly 3 years to complete. I am hoping they will like it. I love these tags. Newton's Nook has it going on. I do make some gifts along with making my cards and tags. Thanks for more Christmas cheer! Getting so many great ideas for not only tags but cards here. Thanks! I do make some of my gifts, but don't have time to make all that I'd love to make. Adorable tags today - yours is CAS perfection, Tracey! The only gifts that I make regularly are baked goods. of course, I am making cards and tags for Christmas. Great tags by EVERYONE today! 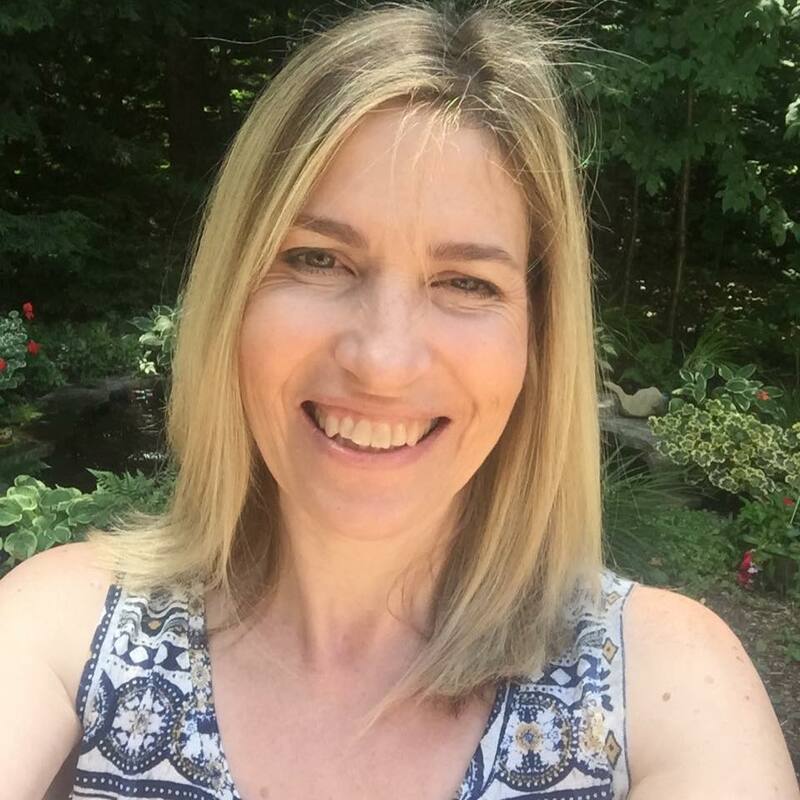 I'm so happy to be part of your awesome tag event! I really LOVE the little cup and tag you created too! Adorable!! 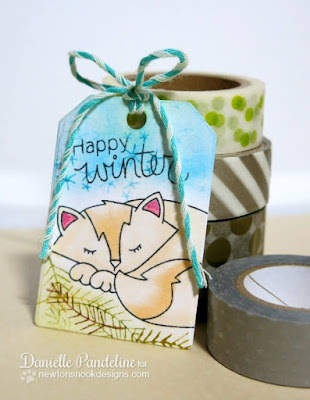 Such fun and cute tags! I sometimes will make jewelry or bake something, but most gifts are purchased. Yes, most of the gifts I give are handmade. I do make Christmas gifts as well as cards: knitted gifts, baked goodies and card sets along with body butters and handmade dish towels. Lovely tags Tracy & Teamies! I do make gifts for the holidays - I am crocheting a bunch of gifts for family, friends and pets this holiday season - it's FUN! Thanks for sponsoring this fun event Jen & Jeff! And thanks for organizing it Tracy! I try to give handmade gifts every year. This year I'm planning two card sets, two fleece throws, and some felt Christmas ornaments. I don't make gifts, but I make cards and tags for Christmas. Love these tags!! Nice idea with the shaker pocket. Love all the adorable images on today's tags. I do not make gifts, just cards and tags. Love all the tags usually make sets of cards for some Christmas presents. Oh my cuteness! I love all of these they are adorable! I make tags, cards and mini albums for Christmas gifts. Cute, cute tags! I love those Newton's Nook images. I started crocheting again and last year made everyone in the family a scarf! These tags are ALL AMAZING! Gawd, I love these. I need to go do some pinning! LOL Great work ladies! I try to make a few gifts each year. I often give homemade jams, pickles and baked goods as a lot of my family aren't able to do these things anymore and they enjoy them! Adorable images and projects! I do make some gifts! I don't make too many gifts, but I do make cards and tags! Love all the tags today! Adorable! Super fun critter tags!! Making of gifts is limited - usually consists of card packages, or embellished boxes or bags. So many adorable tags today! Love all the sweet images! Last year I made ornaments for all the grandkids and I've also woven baskets. Your tag is so CAS, but I love it. The little bells are really sweet. ... I usually buy presents, send out cards and this year, I'm making tags as well. Oh yes I often make gifts sometimes simple post it note holders or sometimes photoframes!! 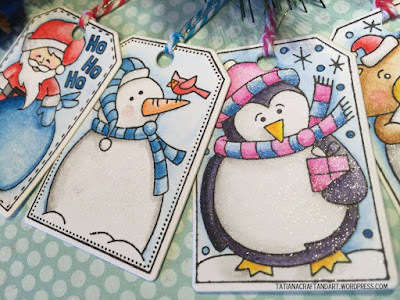 LOVE these FUN & FABULOUS tags, I can't wait to hop along and learn about each one!!! No, I sorry to confess that I don't make many gifts any more, most of my effort is put into handmade cards, tags, pillow boxes and gift card holders. The main gift I continue to make throughout the year is "everlasting flower arrangements" where I recycle some of the amber jars from my medications into vases and fill them with handmade paper flowers on pipecleaner stems, using aquarium stones to hold them upright and give stability. Cute cute tags from Newtons Nook Designs. I love the little jingle bells on your tag. Sweet tags. I always make some gifts - baked, crocheted, sewn, and others. I have made gifts for the past 3 or 4 years for Christmas. Love putting the work and heart into them. Such darling images! Love that gold and red combo on your cutie! I love to make gifts, but struggle with that as my nieces and nephews get older; always make tags; and make Christmas cards only for a limited few. The bulk of my Christmas card list goes to photo greetings. Love these tags with the cute little cats! and I love the way you had tied your string with the jingles. Such a cute sentiment, and I love the red heart and gold bells! Works perfectly with your cup, too...Love it! Cute, cute, cute! I love Newton's Nook - these tags are adorable! Yes, I make a few gifts for a few special people, but I make a lot of cards and just a few tags. 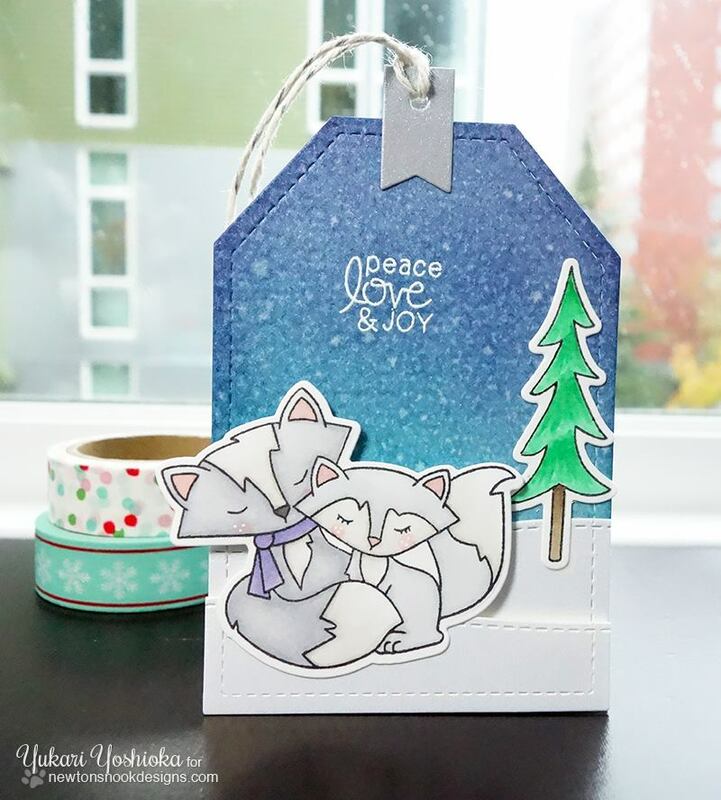 I only started making tags last year after being inspired by your event! As a kitty lover, I'm tickled by Newton. Fantastic tags! Does baking count as making gifts? If so, yes, I make gifts as well as cards! Yes, I create calendars for a long list of friends and family, and occasionally a few other gifts. 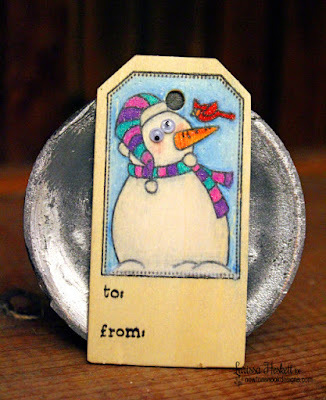 Love that snowman image with the bird on his carrot nose! 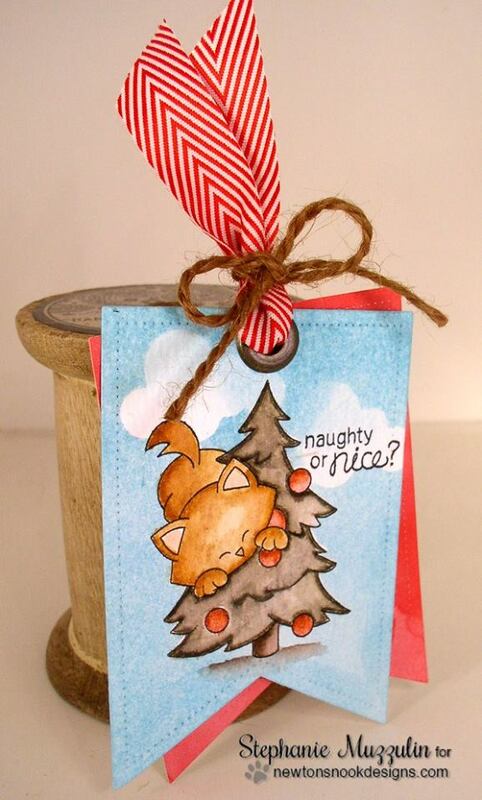 Love all these critter tags!! Yes, I do make gifts every year! I love scouring the internet in search of ideas and inspiration. 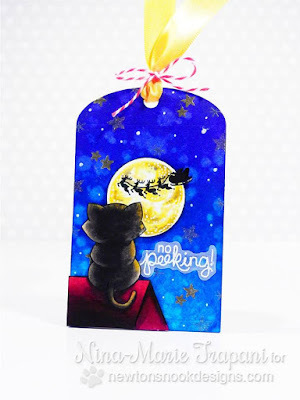 I love the festive tags from Newton's Nook! Their products are great :) I love making handcrafted presents, but because I'm a procrastinator, I usually do a hybrid present, half made, half bought. 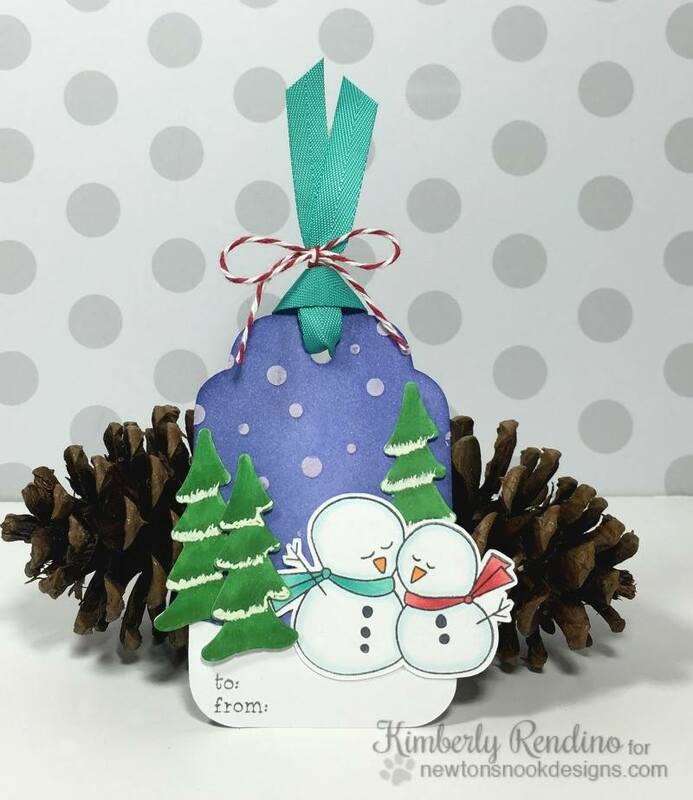 The NN tags are so delightful and your warm beverage gift is marvelous! I've made homemade gifts in the past, ranging from knitted scarves, to cross-stitch pictures (still a few awaiting attention) to card gift sets. This year, I'm running out of time! EEK! I have on occasion made gifts and little gift bags but usually stick to cards and tags! The variety of tags is outstanding. I make gifts for my grandchildren throughout the year ... gift cards with a handmade card or tag work best at Christmas. I stick to cards and tags at the holidays. I'm lucky to get that done! 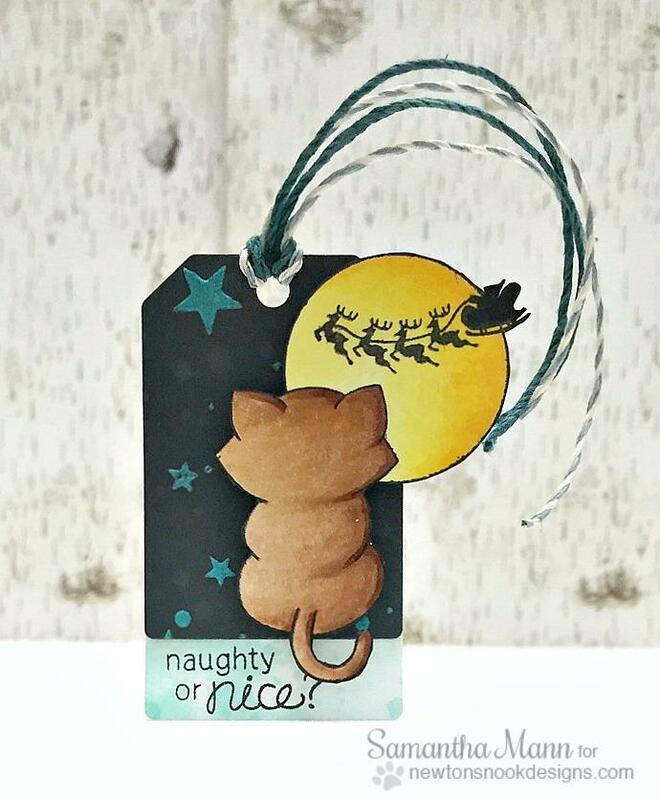 Love these Newton's Nook tags!! I make jewelry as gifts for some of my special friends. Lovely tags! I love to make tags especially for Christmas! Love, love Newton's nook and those tags are beautiful. I love to make gifts not specially for Christmas but for birthdays. I used to make quite a few gifts, I haven't had time lately but plan to start again this year! Beside making cards and tags, I also sew simple things for gifts. Adorable tags, love all the animals! I sometimes make a gift and tag. Wonderful inspirations!!! Love so much Newton Nook's images, they are the cutest! :D I made some gift and tags, yes! I try to make some small type of crafty gift for some of my friends. Wait, what gifts? You mean I'm suppose to use all these gift tags I've been making? Chuckling. No making gifts for me, call me lazy. These are the sweetest tags! They all make me smile! Thanks so much for sharing! I usually try and make something small for family members and friends, usually some kind of food. And I make gift card holders. Not this year. I used to make baked items and fudge, but I haven't done that for a long time. Just made Christmas cards this year.